With the popularized soundbar audio solution, true surround sound is dismissed for convenience and wiring issues. 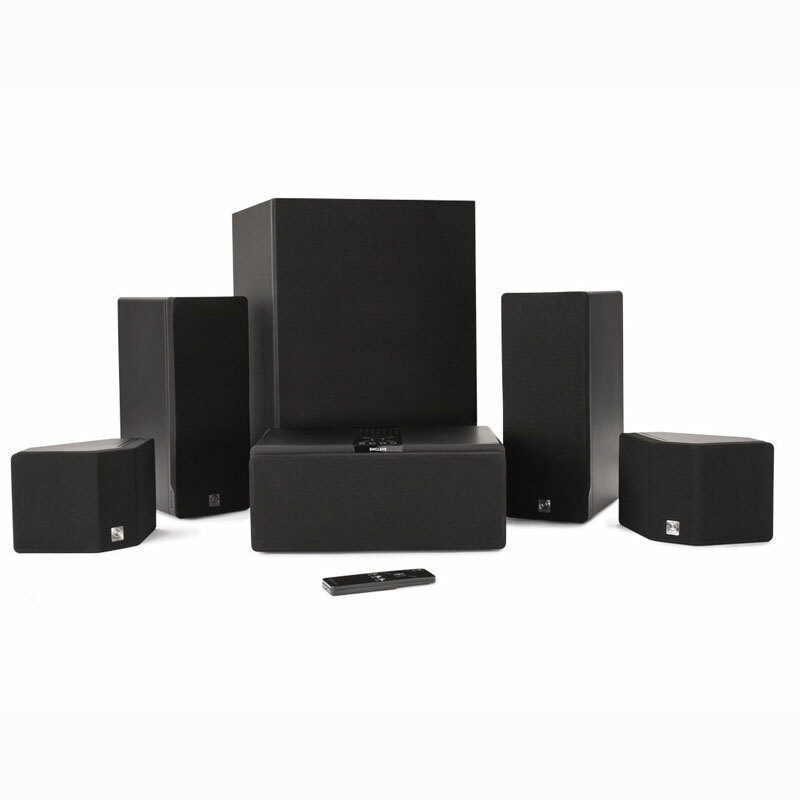 The Enclave Audio 5.1 home theater system offers uncompromising true surround sound with the ability to easily place your speakers as 5.1 surround was designed and intended. Surrounding you. Whether it is movies, music, sports, or video gaming, Enclave wirelessly surrounds you with every nuance of every sound, bringing your home theater experience to life as you’ve never heard it before. The Enclave Smart Center connects to your TV with a single cable and will host HDMI and SPDIF (Optical) sources, including satellite, cable, streaming appliances, and gaming consoles.